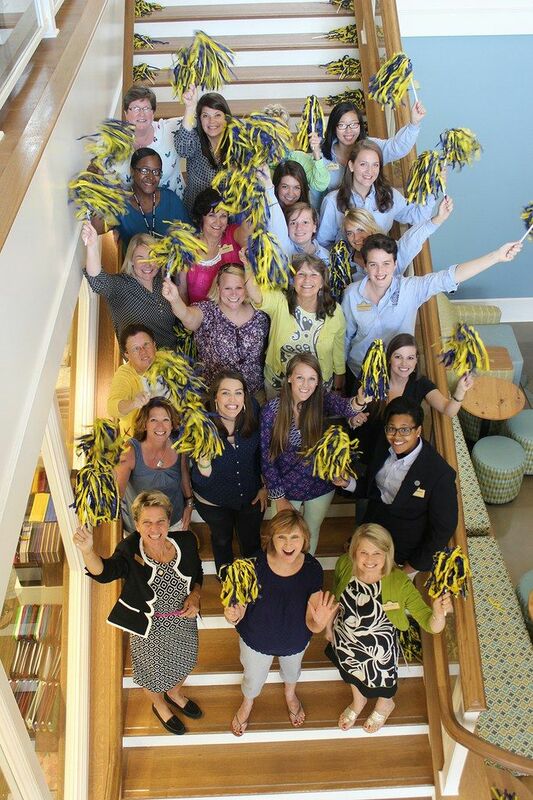 Salem College’s annual Pat Rather Leadership Retreat was held on Friday, August 15, 2014. Pairing alumnae board members with current college students, the retreat is an opportunity to learn about leadership through mentoring sessions, key speakers, and teambuilding activities, while coming together in fellowship around a mutual love of Salem. Hosted in the new Salem College Student center, the retreat is a culminating event for a select group of students who serve in student government or on leadership councils. The retreat is named for Pat Greene Rather, Salem College class of 1957. Her husband, Dan Rather, established the Pat Greene Rather Fund in her honor – to promote leadership growth among students at Salem. Before her death in 1992, she served Salem in a variety of ways; including three terms with the Board of Trustees, as President of the Alumnae Association from 1971-1973, Past President of the Atlanta Alumnae Chapter, and as a leader in the renovation of Salem’s Rondthaler-Gramley House kitchen in honor of Doris McMillan Eller, class of 1954.